What have U.S. troops been doing in Jordan? Editor’s note: David Schenker is director of the Program on Arab Politics at the Washington Institute. The views expressed are his own. Weeks ago, fearing a reprise of the deadly attack on the U.S. consulate in Benghazi, Washington reportedly stationed hundreds of Marines to Sicily in the event they were required to protect the U.S. Embassy in Cairo. But these soldiers aren’t the only U.S. assets in the region guarding against contingencies. In late June, thousands of U.S. service members wrapped up a 14-day annual multilateral military training exercise in Jordan known as “Eager Lion.” At King Abdullah’s request, 900 of these American soldiers, a squadron of F-16s, and a Patriot Missile Battery, have – according to President Obama – remained behind to support “the security of Jordan,” a state increasingly threatened by spillover from the war in neighboring Syria. And should reinforcements be required, the Marine amphibious assault ship, the USS Kearsarge, is steaming off the coast of Aqaba. Today, Jordan is home to nearly 600,000 Syrian refugees – nearly 10 percent of the Kingdom’s population – and faces a severe economic crisis that has prompted cuts to a broad range of food and energy subsidies. Over the past two years, the Kingdom has experienced sustained protests focused on the stagnant economy and the widespread perception of officially-sanctioned corruption. At present, it’s unclear how widespread the anti-U.S. troop sentiment is, but if it deepens and expands, the deployment of American soldiers in Jordan could become yet another problem for an increasingly embattled King Abdullah. Opposition to the U.S. presence and to a potential Jordanian military intervention in Syria is not limited to just the Kingdom’s Islamists. One of Jordan’s most prominent secular political parties, the National Front for Reform, for example, has weighed in against the deployment and called for non-interference in the conflict. But perhaps the most credible group to inveigh against the basing has been the National Committee of Retired Military Officers, an organization comprised of both tribal leaders and former high ranking servicemen. In June, the Retired Officers sent their own open letter to King Abdullah that touched on a long list of grievances, ranging from Royal corruption to the marginalization of tribes in the Kingdom. The letter also warned against “dependence on foreigners” for Jordan’s defense. Instead of basing U.S. soldiers and equipment, the group advised that King Abdullah should follow the “perfect example” of his late father King Hussein during the 1991 war in Iraq, when the Kingdom remained neutral. More recently, Ali Habashneh, the retired general who heads the Officers’ organization described the establishment of the U.S. military base as “a black day” that marked “the return of colonialism” to Jordan. Amman appears to be taking the complaints seriously. On June 20, Chairman of the Jordanian military’s Joint Chiefs of Staff General Mashal al Zaben held a press conference to assure Jordanians that the American soldiers and military assets were simply there to “help Jordan defend itself” and that their presence would not compromise the Kingdom’s sovereignty. Meanwhile, Prime Minister Abdullah Ensour is denying reports that the CIA has been training Syrian rebels in Jordan since 2012. Notwithstanding Amman’s efforts to limit popular dissent about American boots on the ground, letters of opposition and public protests over the U.S. deployment are likely to continue. That’s because even as Jordanians largely support the rebels in Syria and hope for a quick end to the war next door, only a small minority of the Kingdom’s residents – 12 percent according to a 2012 Pew Poll – view the United States favorably. Alas, based on this enduring unpopularity and the open-ended deployment, U.S. troops will remain a persistent irritant to locals. Spillover from the deterioration in Syria increasingly threatens the Kingdom. To be sure, the high profile nature of the U.S. troop deployment was intended as a message to the al-Assad regime. And in a worst case scenario, U.S. soldiers in Jordan can help the Kingdom cope with chemical weapons consequence management. Yet the American GIs in Jordan are not cost free for King Abdullah: the deployment will join a long list of ongoing complaints the King has to manage. Given the stakes, dispatching military personnel and assets to the Kingdom was the right call. But several hundred U.S. soldiers will not insulate Jordan from its most significant threats. 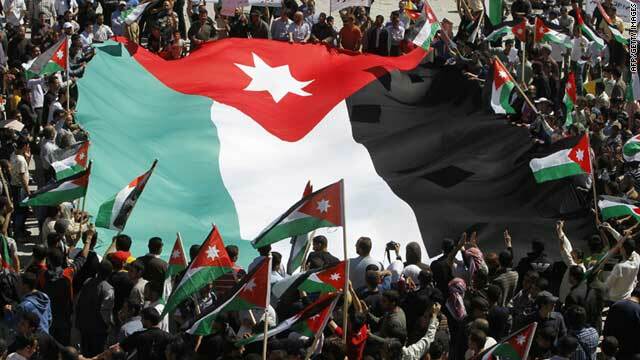 Jordanian stability is a casualty of the Obama Administration’s vacillation on Syria. If Washington wants to shore up King Abdullah and secure the realm, it will do everything possible to hasten the departure of Syria’s al-Assad regime. I’m impressed, I have to say. Really not often do I encounter a weblog that’s each educative and entertaining, and let me tell you, you might have hit the nail on the head. Your idea is outstanding; the issue is something that not enough people are talking intelligently about. I am very comfortable that I stumbled throughout this in my seek for something regarding this. Chelsea legend Frank Lampard plays darts at the PDC World ChampionshipsFrank Lampard has emotional m.